The new generation of Horizontal Profilers designed and built directly by Mandelli. The Rumble Machining Centers are travelling column HMCs designed to guarantee top level performances in terms of stock removal on prism-shaped aerospace titanium structural components. 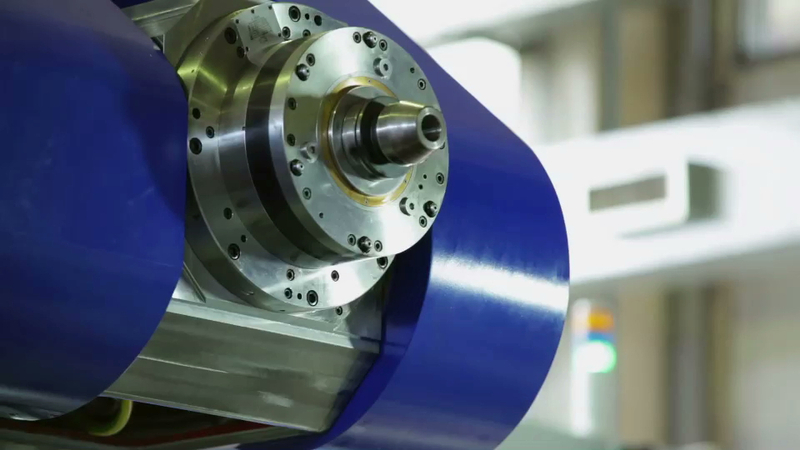 When working in continuous, the mechanical spindle generates a very high torque and it can either be assembled horizontally on a fixed head for 3-axis configurations or on a double-rotation head used to for continuous 5-axis maching operation. The Rumble HMCs are available in stand alone configurations with two pallet tables or in FMS configuration with a linear shuttle pallet system.